"In my eyes, Ha Giang, the northernmost province of Vietnam, is the most attractive destination, with the rocky plateau at Dong Van, the love market at Khau Vai, Heaven’s Gate over the Quan Ba Pass and the friendly, colourful ethnic groups. For that reason, despite the bad weather and narrow roads, our trip to Ha Giang was eagerly anticipated. The rocky, limestone district of Quan Ba was our second stop after Hoang Su Phi. Located 320km to the north of Hanoi on the border with China , the district at an elevation of 1,000m above sea level and with its fresh, cool climate, typifies the beauty of Ha Giang. From there, we set out for the Quan Ba Pass and Heaven’s Gate. The imposing, formidable landscape had us in awe as our car snaked along the treacherous roads, clinging to the side of the mountain. With a sheer drop on one side and cliffs rising up into the clouds on the other, it was as if God had chalked a line across the harsh terrain." 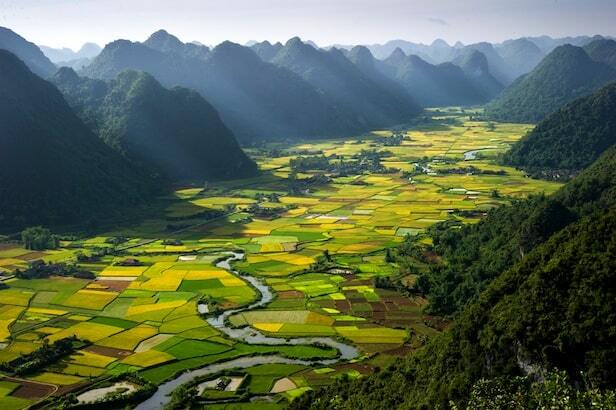 Ha Giang - is a province in northeastern Vietnam. It lies on the border with China. 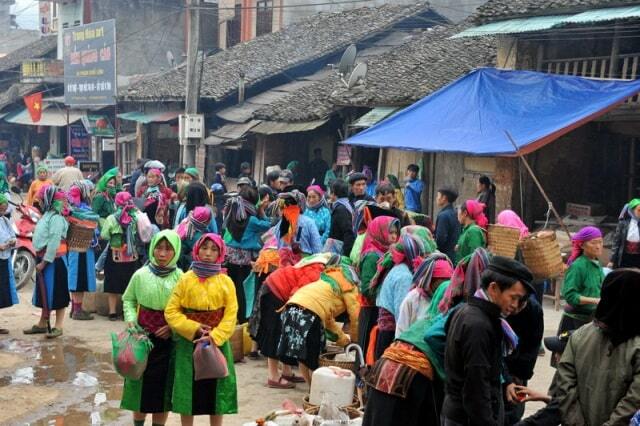 Ha Giang is one of the poorest provinces of the country. The area is mountainous and not heavily populated. The steep slopes are covered with forests. On the central plateau farming is possible. The main exports include fruits like plum, peach and kaki. The capital has the same name as the province: Ha Giang. The border with the Yunnan province of China is 270 km long. The best border town to cross the border with southern China is Thanh Thuy, 25 km from the capital. There are also three smaller border crossings, namely Pho Bang, Xin Man and Sam Pun. 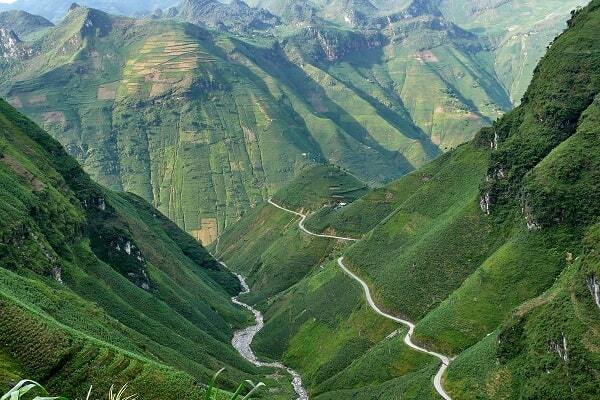 Ha Giang is a stunningly beautiful mountain region. The rugged landscape has always made it difficult to build a decent life for the locals. There was a poor infrastructure and so there were very few tourists, who came to admire the beautiful landscape with its peaks (Tay Con Linh (2419 m) and Kieu Lieu Ti (2402 meters) and valleys. But because of the construction of new roads that has changed. Today there are possibilities to stay with families (homestays) and there are a few guesthouses. Ha Giang, the capital, is situated along the road to the north. This town is divided in two by the wide river Lo. The provincial capital has clean streets and there is a subdued atmosphere. It is a relatively new city, because it's is only 120 years old. If you want to get to Ha Giang, you should take a bus in Hanoi, for example, Giap Bat, Gia Lam, My Dinh, Luong Yen or Ha Dong. The main road is the "P Nguyen Trai", which is near the capital and it runs about 3 km parallel to the river Lo. In the town you will find hotels, banks and restaurants along the main road. The city was heavily damaged by a war with China in 1979, but it has been rebuilt since then. There is not much to see and do in Ha Giang, but the spectacular limestone mountains that rise up behind the suburbs It beckons you to explore the beautiful scenery in the surrounding hinterland. The province of Ha Giang has many mountains and forests, which provide the country with wood. There grow about 1,000 species of herbs and plants. Among the fauna includes tigers, peacocks, pheasants and pangolins, which eat mostly ants. The most famous rocky area of province is the Dong Van Rock Plateau, which has been named by UNESCO as one of the 77 geological parks in the world. The hamlet of Lung Cu, located on the Dong Van Rock Plateau, is an indispensable destination. Here is the most northern tip of Vietnam marked with a big flag on a tower at Dragon Mountain. Ha Giang is also a meeting place of jagged caves, like Thien Phuong Cave, Chui Cave, Fairy Cave and Cave Swallow. Although all caves have fantastic shapes of stalactites, each cave has its own story. For example, tells a legend, the fairies took a bath in Fairy flow inside the Fairy Cave. The inhabitants of mountainous province consist primarily of ethnic minorities such as the Hmong, Tay, Yao Nung, Bo Y, Lo Lo, La Chi, Pathen, Kinh, etc. 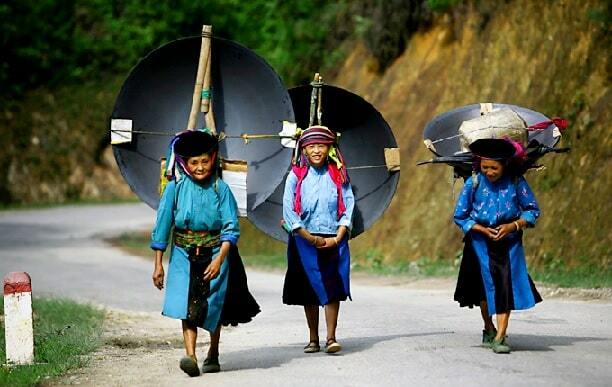 Thanks to this ethnic diversity, we are able to see many traditions in the province of Ha Giang. Each group has its unique habit, such as wedding, faith, festivals or funeral. To illustrate this, a Hmong groom can only marry if he rob a wife. Nobody hears anything about this action, unless there is a trial in court coming. In the province, tourists can see the most unique customs of the ethnic minorities. It is advisable to book a trekking tour or rent a bike, because there are many ethnic villages, where the population lives in isolation from the society. When you get to such a minority you'll see at their doors already the signs, which must expel demons and evil spirits. The locals are also very friendly who welcome strangers like honored guests and treat you that way. You can enjoy their special dish: Thang Co (horse meat stew). Chinese New Year is the best time to visit Ha Giang. You will see a wide range of traditional customs of ethnic minorities, such as celebrating success, rain ritual, sons rituals, crossbow shooting, pan-cake performance or a "Con" throwing contest. The best visiting time is between September and November.